Golmaal Again 8th Day (2nd Friday) Collection Early Trends. Fantastic Hold! As early trends for the day is coming in, Golmaal Again is having fantastic hold on 2nd Friday (8th day). At places drop from previous day is just 15-20% which is terrific! 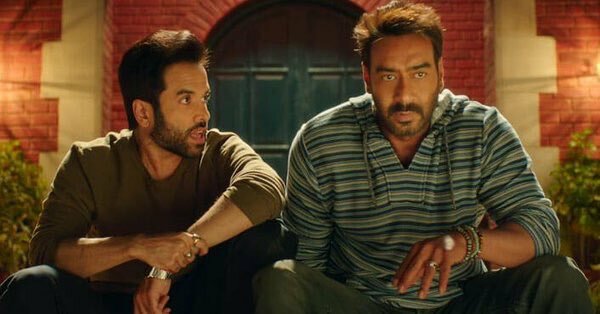 Golmaal Again has opened to around 20% occupancy in Morning shows on day 8. Film showed limited jump in Noon to register occupancy of around 23-25%. Film has picked up big from Evening onward and as per latest registering occupancy of around 40%. Though it is too early to make any prediction for the day as Night shows are still to start. Still, early trends suggest, Golmaal Again 8th day business is heading towards 6-6.5 crore nett mark. These are very early estimates from limited samples. Major reports from interiors are also awaited for the day. Final count may go higher also if film hold strong in Night shows. Amir ki chalaki be golmaal ka rasta 200cr se door kar diya hai.phir bhi ajay ki ye movie hai.Bollywood ka naya BAAP. 2nd weekend... 161 cr...Blockbuster as at Sunday! !